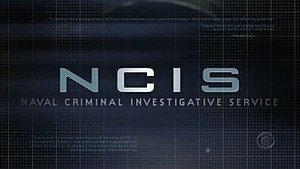 Let’s look at the signing habits of the cast of the #1 CBS hit drama, NCIS. Mark Harmon (Special Agent Leroy Jethro Gibbs ) – An odd celebrity in many ways in the fact that he will only sign photographs of himself, nothing else. In general, he is very hot and cold with his willingness to sign his name. Michael Weatherly (Special Agent Tony DiNozzo) – He used to be a great signer but, as the show has grown in popularity he is much tougher. I don’t want to say his success has gone to his head however, he turns down most autograph requests. Pauley Perrette (Forensics Specialist Abby Sciuto) – I have encountered on two separate occasions and both times was brushed off. In her defense, she seemed to be in a hurry both times. David McCallum (Chief M.E. Ducky Mallard) – Mr. McCallum is true class all the way. He always takes time to remember his fans. He rarely if ever, turns down an autograph request. Additionally, he loves to chat about the show and will answer any question a fan has. Sean Murray (Special Agent Tim McGee) – He is a very nice guy and will generally give his autograph to a fan. He used to be more consistent but is still very good. Cote de Pablo (Special Agent Ziva David) – This beautiful woman is a fantastic signer. She will almost always take time to take care of her fans. Very, very nice person. Rocky Carroll (Director Leon Vance) – Over the years, I have seen him on four occasions and have yet to see him give a fan an autograph. He isn’t that big of a star to be so full of himself. He should take lessons from David McCallum. I hope you enjoyed the NCIS post. Have a great day and check out my web store at www.autographedfirstdaycovers.com. This entry was posted in Uncategorized and tagged Chief M.E. Ducky Mallard, Cote de Pablo, Leon Vance, Leroy Jethro Gibbs, Mark Harmon, Pauley Perrette, Rocky Carroll, Sean Murray. Bookmark the permalink.